Ancient cultures from around the world all share something in common: they all understood the important relationship that humankind shares with the Earth. The Tibetans discovered and frequented scared power spots that were known to make the mind more suitable to meditation. The American Indians found mountains and rivers that were sacred spaces for rituals and healing. The Australian Aboriginals knew of deserts and bushland that was the home of the gods. Whatever the reason, there are certain places that really do revitalize the body and soul. I don’t know why they do – perhaps it is something to do with subtle energies or magnetic rocks below the surface? Perhaps it is just because they have a nice “vibe”. Either way, I truly believe that there are some places you can go and just feel better. In this post I am going to show you my four special places around the world that make me feel alive, revitalized and happy. I hope that they will inspire you to find your own special spots. 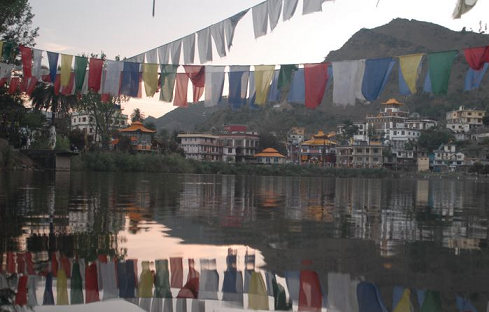 Tso Pema is a small lake in the Indian Himalayas that is sacred to Buddhists, Hindus and Sikhs. The word “tso pema” means lotus lake and this name was given to the lake after the great Buddhist master Padmasambaha visited and meditated in the caves above the lakes before moving on to Tibet to give them the Buddhist teachings. 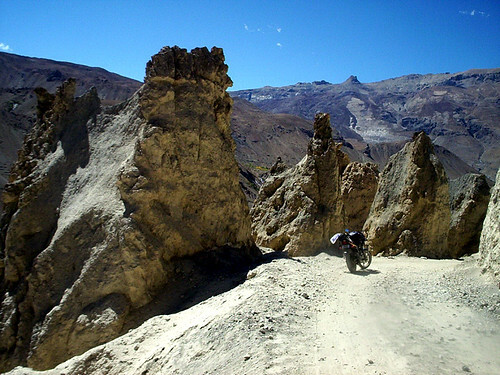 I have written about my trips to Tso Pema here. Every time I go to Tso Pema I am amazed at the “presence” that the area possesses. Everything seems quieter and calmer, even on the busy main street. Most amazing of all, however, is how peaceful your mind becomes. A Buddhist master once told me that Tso Pema was one of the best places in the world to do a meditation retreat because no obstacles arise in your mind. I think he might be right. Of all the places I have traveled it is the Indian Lotus Lake that inspires me the most. They valleys and mountains surrounding the lake have been home to advanced yogis for centuries and the place exudes a magical and sacred feeling. I wish all of you could experience it. Bodhgaya is a small town in the middle of the Indian state of Bihar. Now, this state doesn’t have a lot going for it but people still flock to Bodhgaya in the thousands. Why? Because Bodhgaya is the place where Buddhism first begun – it is the place where the Prince Siddhartha attain enlightenment and became the Buddha. I first went to Bodhgaya when I was 19 and it left an imprint on my heart and mind that I will never be able to forget. I have returned there several times since and each time marks a turning point in my life. The ancient texts tell us that all the buddhas of this eon will attain enlightenment at Bodhgaya and that it is the heart of the world, the world’s most sacred site. I can’t definitively say whether or not this is true but I can attest to the fact that when you are in Bodhgaya your mind starts doing funny things – you start changing. Sitting under the tree where the Buddha attained enlightenment is an experience unlike any other. I am not going to try to put words to it but instead leave it to your imagination. Sitting under that tree is indescribable. Port Willunga is a beach about two hours drive from my home. It is on the south coast of Australia. This might all seem pretty insignificant to you and that is fair enough. But there is something about this place that is truly magic. I have been to beaches all over the world and none of them rival this place. Port Willunga has a beautiful back drop of cliff faces and water that is so clear you can swim out a mile and still see the white sand on the bottom. I have spent many a day just laying in the water and letting the view and the waves wash over me. This is a place I love to go if I need revitalization or if I need to do some serious thinking. the salt water seems to have some relaxing effect that really gets into your muscles and loosens your whole body up. the sound and the feeling of the waves crashing over the sand below and your body above relaxes and calms your mind. there is nothing quite like sitting in the shallows of the salty water and staring out at a view that goes on forever. It opens up your mind to new possibilities. If you are in need of a bit of revitalization I encourage you to do some research and find a beach near you like Port Willunga. Make sure you give yourself at least a full day to enjoy it. Really let it soak through you. For those of you who aren’t sure, Borneo is the third largest island in the world and is located just north of Indonesia. The island is covered in a dense forest and is home to a massive variety of animals – most notably the sea turtle and orangutan. The capital city of Borneo is called Kota Kinabalu and it is situated right next to a giant and majestic mountain – Mount Kinabalu. I have only been to this place once but I remember it being an extremely alive and energetic place. Unlike the other spots I have mentioned, this mountain seemed to make me feel younger and more awake, not more relaxed. I came back after visiting this place feeling five years younger and a lot more joyous. The locals say that the mountain is haunted by a widow who, before she died, climbed the mountain everyday to see if she could see her husband’s ship coming back from his voyage. Eventually she died up there but she has never left. Do you have any special places? I would love to know whether you have your own special places around the world that you go in order to relax, unwind and rejuvenate. Please leave a comment and let us know. Even if it is something really small like the park down the street I would be really interested to hear about it. I was in Bodh Gaya this past summer and it is definately a special place. The ground of the Mahabodhi Temple were so quiet and comfortable, which is quiet unusual for much of India. It’s also easy to meet and converse with Buddhist monks at the site. Hi Gennaro. You weren’t at Kagyu Monlam by any chance were you? There is a hill nearby my house with a magnificent view. It always lifts my spirits going up there. I also go to our old log cabin once in a while for solitude to fast and practice some yoga etc. That’s a great way to revitalize myself. Truly a magical place to getaway to, even if its for a few hours. I think we all need to start appreciating the beauty in front of us, instead of seeking something that doesn’t exist. The other is London. As in, England. I love the busyness. It’s not really a relaxation place but a rejuvenation place. Being surrounded by so many other people with so many different lives makes it much easier to put things in perspective, I find. Nicely put Tom. I think you are 100% right. Funny you say that Naomi but I have always felt the same way about libraries. There is something wonderful about being surrounded by all that knowledge and majesty. Beautiful. 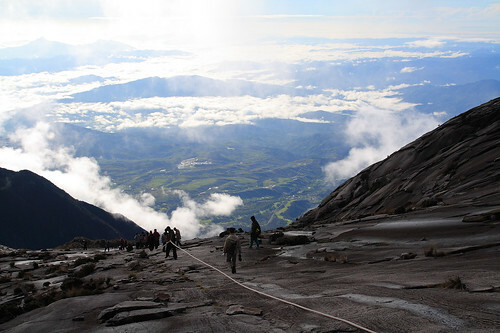 Mount Kinabalu looks absolutely breathtaking. I wish I could afford to go there. @ Naomi, I understand what you mean about bookstores. I can easily sit down with a book or two, and spend hours at one, and feel at peace with myself. It’s one of the few places left where people tend to be in high spirits, instead of rude and inconsiderate. @ Daily Minder, is there any places on the western hemisphere that you feel this way about? Obviously I have a big connection with the Himalayan region – Tibet, India and China. However, Ayers Rock in Australia is certainly a very special place. Also, the lands in the USA sacred to the Hopi Indian Clan have an incredible sense of peace. Well, I am not as well traveled as you are, Daily Minder. I haven’t been able to venture too far away from the Heartland of the U.S.A.
As far as where I’ve been, I found Little Rock, AR to be like a complete getaway from its surroundings. I believe that it has some Native American history, which is why a community was built there. I also think that central Illinois has a certain charm to it. There’s a lot of fairly undisturbed land. Lastly, West Virginia struck me as an area that I would like to take a longer look at. Much like Little Rock, it seemed like an “exception” to it’s surroundings, if that makes sense. No, we weren’t. We met a Thai monk who visits Mahabodhi regularly and is considered one of the elders of the temple. We spent most of the time with him. The rest was visiting the temples built by the individual countries. I have to correct you about Mount Kinabalu, it is in Borneo, but in Malaysian Borneo. The mountain, in the island of Borneo that you mentioned belongs to Malaysia. Kota Kinabalu is the capital of the state of Sabah. And Sabah is in Malaysia. The Indonesian side of Borneo is called Kalimantan….and ofcourse don’t forget the Bruneians, a country nestled between two Malaysian states. So you should change the title of Mount Kinabalu, Borneo to Mount Kinabalu, Malaysia. I may be being ridiculous, but it seems so much more difficult to find a relaxing spot to unwind in during the winter, doesn’t it? For those not able to travel as frequently, those enchanting scenic areas near home and beaches aren’t quite as fulfilling when it’s snowing out.. where, in that case, would you go to rejuvenate and unwind?